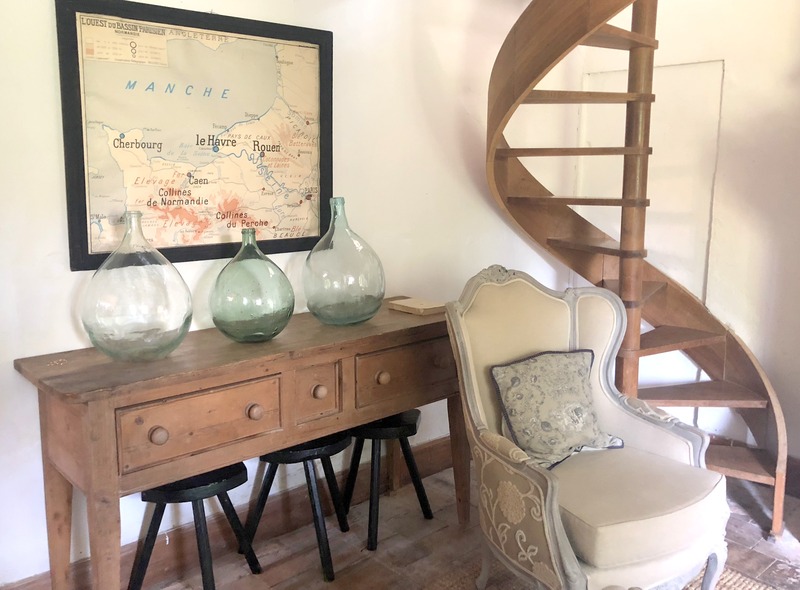 To step into Normandy, and then into Sharon Santoni’s French Country Home, the one readers have come to find such soothing beauty and infinite inspiration for bringing thoughtful décor and comforts into their lives, was a pinch-me moment to say the least. From the love-filled greeting by Gibson and Ghetto from the moment I arrived until I departed, the jovial, relaxed evening aperitifs on the Santoni family’s patio which would lead to dinners full of seasonal goodness and conversations full of co-mingling English and French well into the night, and concluding with a celebration of Les Bleus winning the World Cup for France, this trip of France, that had been so long in the planning, was punctuated in such a way that makes me trust the universe just a little bit more. Magical and most memorable is the best way to describe it. And it was with Sharon’s ease and kind welcome, to share, to offer knowledge of so much of what she loves and knows well, that I feel fortunate to have experienced. From teaching and showing me the history and care of French linens, taking me to a Brocante market one early Sunday morning, inviting me to join her on a walk through the nearby woods with Gibson and Ghetto, and introducing me to her family, she introduced me to her French country home and way of life. Sharon has a sincere passion for what she brings to readers on her blog, guests on her tours and subscribers to her seasonal French gift box, which is why I invited her to answer a few questions about, well, a little of everything, but beginning with the tours she offers throughout the year and France, as well as where she comes up with the themes and contents for the seasonal My Stylish French Box. I do hope you enjoy our conversation, and be sure to read through to the end as a special announcement of a giveaway will be shared, as well as instruction about how to enter (you don’t want to miss, I promise). ~Questions are in bold and Sharon’s responses are in italics just below each. Q: Travelers today are choosing to seek out experiences when they travel as they want to become more immersed in the culture they are curious to visit. Currently, you offer a variety of tours inspired by your lifestyle brand My French Country Home. What types of tours can travellers select and what will they experience? I agree with you that it is more fun to travel when you have a purpose, and especially when someone else does all the thinking through the schedule! At the present time we offer a Provence tour in May each year, and two brocante and lifestyle tours in September and October. Both events include some antique buying; a cooking class; a floral class; as well as local visits to wine chateaux, a beautiful garden or a local artisan. No two tours are identical because we like to keep it fresh and interesting. 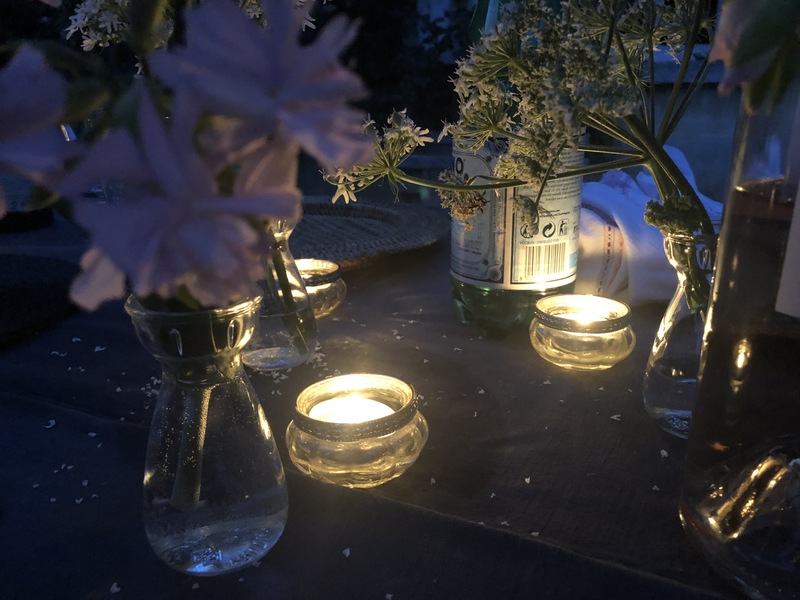 We aim to take our clients off the beaten tourist track and give them a uniquely authentic experience of French living, be it in Provence or in Normandy and Paris. ~Learn more about Sharon’s tours here. Q: What inspired you to organize and host these tours for travelers? My readers wrote to ask me to take them shopping! That’s how the first tour came to be, and since then we have expanded and widened the activities that we can offer. And even though each tour is different, we can assure clients that they will always stay in beautiful accommodation, and enjoy wonderful meals and great company! Q: When individuals join you on the tours, they have the opportunity to be exposed to many different beautiful antiques and brocante finds. What is one piece of advice you would give to treasure hunters when looking for something to purchase? I always say “keep your eyes and your mind wide open”. Never go antique shopping with a list, be prepared to be surprised and tempted by the unusual, and always buy what you love. 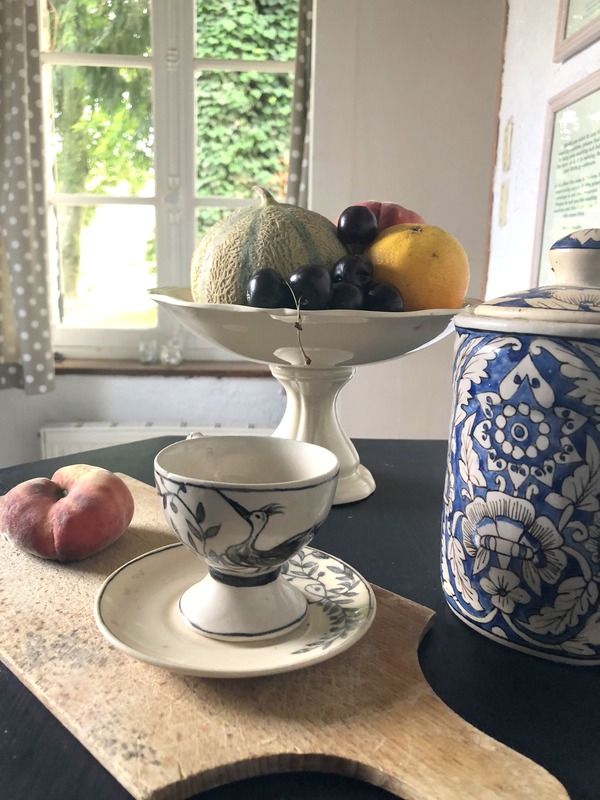 Q: Your recent book My French Country Home: Entertaining Through the Seasons offers a season by season glimpse into your life in France (listen to her conversationhere in episode #168about her book). Your eye for beautiful, thoughtful decor is readily apparent in each of the images as you pair furniture and table settings with mother nature’s offerings. Where did your journey and love for decor begin? I think that growing up in England, my family home and the homes around me were always elegant and comfortable, without ever being intimidating. Raising a family of four children, along with a couple of dogs and a few horses thrown into the mix, our home decor had to be relaxed and liveable. Today my husband and I are empty nesters, and we are loving the way our home evolves to our new requirements. Q: When it comes to decorating our homes, if I too am seeking to curate a home that offers warmth and that country French aesthetic, what are a few tips you would share to be successful? I would say to think about layers. 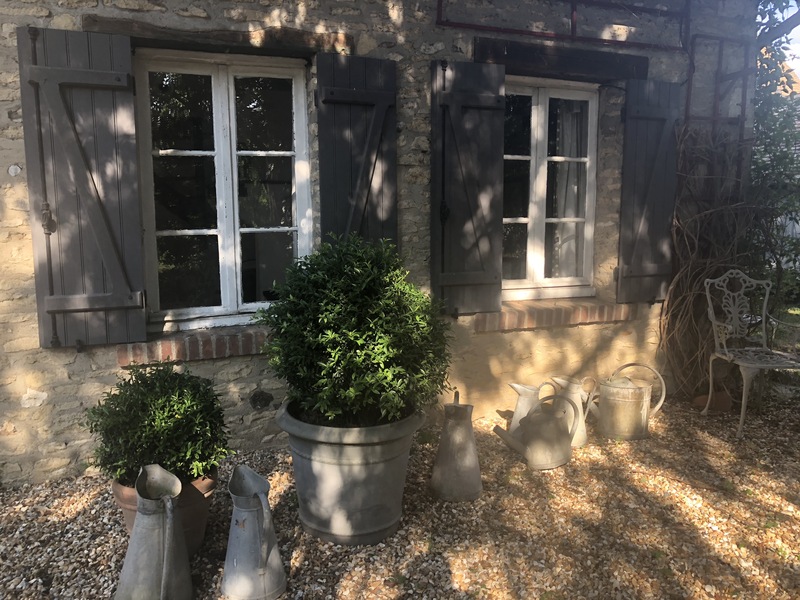 Sometimes people think that a specific style can simply be bought new and put into place, but for a home to feel authentic, especially in a French country style, there has to be layers that are built up of old and new. Textiles and colour are important too, nothing too uniform. ~Below: a glimpse inside Sharon’s guest cottage. Q: You have spoken often on your blog about reinvention, and how having begun your blog in early 2010, it has offered many awesome opportunities. What is the key, you have found, to be successful when it comes to reinventing the life we are living should we seek it? Follow your heart! Do not be afraid to try something new. I started my blog as a soon-to-be empty nester, at a stage in my life where I really needed some new occupation. Little did I know just how busy I would become. I firmly believe that this liberty to reinvent ourselves is one of today’s greatest luxuries. Q: I feel fortunate to have had the opportunity to spend time with you and your family this summer. The meals we shared, as well as the conversations, are fond moments from my trip to France. Each time we sat down, the table setting was welcoming, warm and while casual, epitomized to me the importance of gathering for a meal. When you consider how to set your table for any dinner/meal gathering, what details do you include? And what are the essentials for setting such an inviting tablescape? The most important element to any enjoyable meal is the company around the table, and I have to say how thrilled I and my family were to host you this summer Shannon. 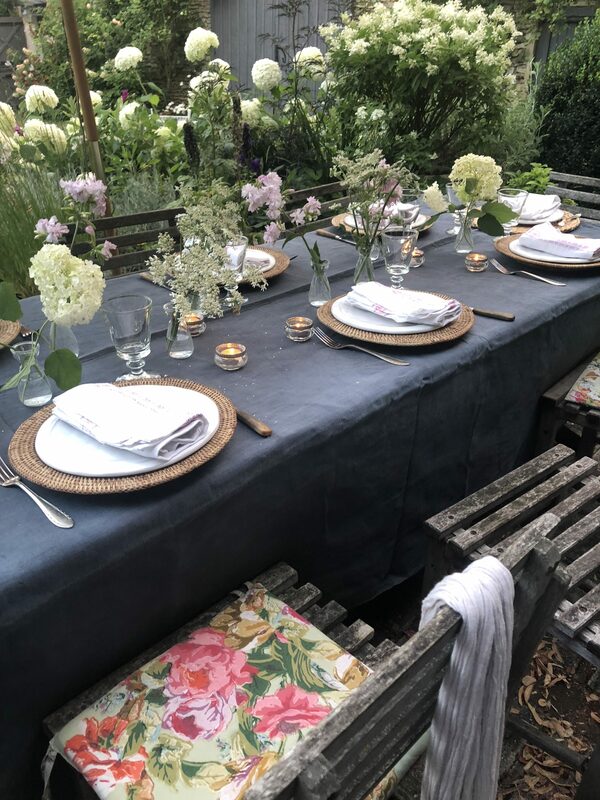 Once you have your guest list sorted, I’d say you want the table to be pretty and welcoming, so it puts everyone at ease and makes them glad to be there. Q: My Stylish French Boxis a luxury seasonal subscription which includes unique artisan products hand-selected by yourself from throughout the regions of France. In each box, each season there is at least one item you found at a brocante market. This must take an immense amount of time and planning to find just the right items. What inspires you as you decide what types of items to include in your boxes each season? Via My Stylish French Box, I am proud to become an ambassador for some truly wonderful French brands, and also for some very gifted French artisan creators. For each box I decide upon a theme and gradually pull together ideas for items to include. My aim is to finish with a beautiful, sweet smelling curated collection of eight products. There will always be products for the home, for our clients to use personally and of course our famous brocante item. Q: Life advice for enjoying the everydays? Pay attention to the details, keep your eyes open to everyday beauty, don’t be afraid to get off the beaten track and always remain curious and interested in those around you. Q: Favorite book you have read. There are so many! Two of my favourite authors are Edith Wharton and the French author Balzac. Q: Restaurant you recommend visiting in Paris. I recently discovered the restaurant Benoit in the first arrondissement, I love it! A small traditional bistrot with outstanding food and impeccable service. Q: What are you most looking forward to enjoying as someone who lives in France with September and the fall season approaching? I always look forward to the change in season, especially in Normandy where the seasons are so distinct. I love the perfume of Autumn and I love the changing light and colours. And of course September sees the start of my Fall Brocante and Lifestyle Tours, always a highlight of my year! I want to express a deep gratitude to Sharon, her familiy and Gibson and Ghetto for the warm welcome during my stay, and as well for what she has offered to a lucky TSLL reader during our annual French Week – check out the giveaway below, and have a look at my Instagram Stories to see Sharon’s most recent Stylish French Box being opened just days ago in Bend. Thank you for stopping by and Bonne Chance! The winner will be announced on the final post of TSLL’s French Week on Sunday August 19th. ~To subscribe to receive My Stylish French Box each seasonal, to order a single box or give as a gift, check out this page and view past French Box Reveals. ~Visit Sharon Santoni’s blog, My French Country Home here. ~Catch up on all of TSLL’s French-Inspired postshereand French-inspired podcast episodes here. I love seeing the reveal of these boxes on her website and would be thrilled to receive one. Given the timing it might even be a French holiday theme, which would be fantastic! What a lovely interview! Thank you to the giveaway. I am really loving French Week! I feel lucky enough to have discover such wonderful blogs as yours and Shanon, and having been able to travel to France quite often in the last ten years ( living in Barcelona, Spain helps!!) but I have never won absolutely anything so it woul be and amazing luck if my firts time is a Sharon’s sylish french box. For all thathas been, thanks!! For all that will be, yess!!!! French Week has not disappointed! I’m enjoying the daily reminders to live simply and luxuriously. It’s a great refresh for me as summer is coming to an end. Thank you for all you do! Another lovely giveaway! Thank you for introducing your readers to Sharon! Always love your posts & the unique products that are introduced. Shannon-I love everything about your blog especially your dedication to daily postings. As a dedicated Francophile, I appreciate your insights, observations, and recommendations and often use them to guide my annual trips to France. Thank you so much and thanks to Sharon for the generous give-away. Its so exciting to have the big reveal. All the more reason To look forward to. Its like child opening a candy box . I love all things French and am passionate about french life to no aviail so i must satisfy myself with writing and puc. I have been fortunate enough to sign up and receive the last two boxes and I can’t say how awesome they are and worth every penny. I would love to win one to be able to share it. Thanks for this awesome week! What a wonderful giveaway! I would feel so blessed to receive it! Oh, I love Sharon Santoni! Her boxes always looks so wonderful! I love reading through all your experiences! Thx for the giveaway! Sharon is such an interesting woman, and thank you both for offering this lovely giveaway to your readers! Today I get to go to the library and pick up her latest book. I will be sure to buy a bottle of wine to pair with it tonight! Sharon is truly an inspiration and I hope I can take away that sense of Sharon’s and turn in loose in my own home town. Thank you. I was lucky enough to receive the holiday box last year and loved it. Would be thrilled to get it again this year! What a wonderful giveaway. I love Sharon Santoni! I am so excited at the thought of being able to win this box–thank you! Thank you for sharing your wonderful trip and allowing us a peek into the sites and sounds of France. Love your blog! This is fantastic! I am excited to hopefully win this lovely box. Thanks for the generous giveaway! Whoos! Sharon*** Not Shannon. I had Shannon the the mind. Pardon the blunder! MY heart is in the South of France. And when I am not there, thanks for bringing it to me. I have really enjoyed the two My Stylish French Box deliveries! You can just feel the “atmosphere of France” when the box is opened. I usually save the opening until I have some quiet moments to myself so that I can truly absorb each item as they are revealed in the unpacking. It would be so wonderful to win one of the boxes! Oh my goodness I am SO excited for this giveaway. I remember your interview on the podcast with Shannon Santoni a while back and it is one of my favorites (I have listened to it multiple times since!). I now follow her too and feel so inspired by the both of you. (Life goal = to have a garden like Shannon Santoni’s!) I have been eyeing these boxes since they were first launched and your unboxing makes me lust for them each time. And a “noel” themed one sounds absolutely lovely and has sugarplums dancing in my head… even though it’s summertime! I’ve read and shared your blog for years & reference your book almost weekly for inspiration at home (and for the recipes). But the podcast is my favorite! 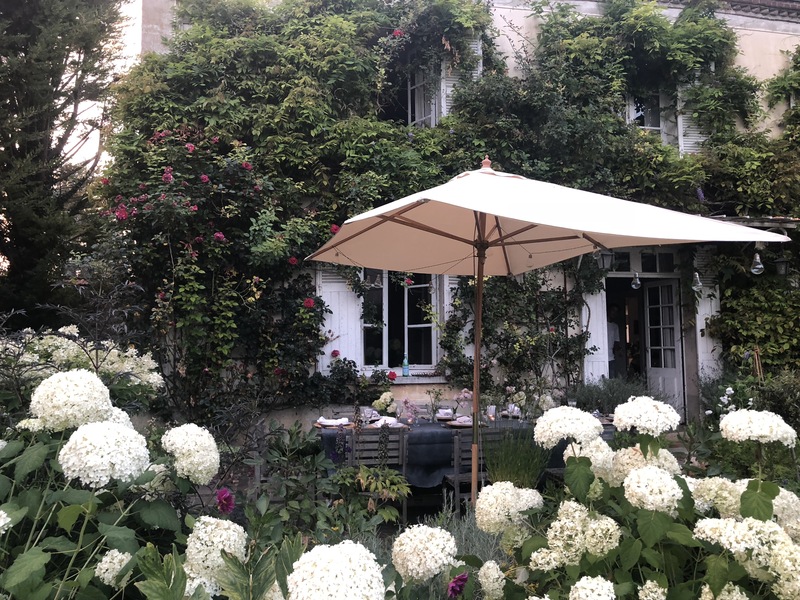 It is my very own “Petit Plaisir.” I just visited France for the first time in my adult life and your blog had me 100% prepared to enjoy it how it’s supposed to be enjoyed! I have always loved French week , but it’s even more special this time now that I have memories of my own to reference! Thanks for all your hard work, it brings so much happiness to my everyday. What a stunning French week we are experiencing , thank you Shannon. I have followed both of you for several years … always looking forward to seeing your posts in my box … like old friends I love to hear from. Thank you both! Thank you for wonderful blog. I so enjoy spending time reading about your travels, your choice of clothes, your hiking around Bend and of course your precious pups. I shall now go visit Sharon’s blog as she sounds delightful. Her French boxes are lovely. Thanks for the chance to win one. I love all things French and aspire to take in as much of their culture and way of living as I possibly can. 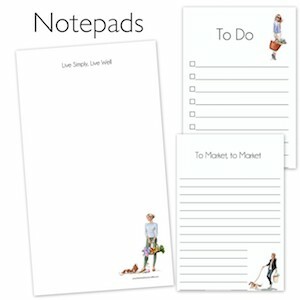 Your and Sharon’s blogs are two of my favorites. You both bring me much inspiration and joy. I would be thrilled and honored to receive the gift giveaway. Thank you for introducing me to Sharon’s inspiring world ! I’m not only following “The French Country Home” but also other Instagramers she recommends. Everyday I’m receiving beautiful pictures and learning a lot about home decors and flowers arrangements. Thank you so much Shannon and Sharon…. I have loved reading Sharon Santoni’s blog for a long time, in fact I think that I discovered TSLL because of an interview you had a few years ago w/Sharon. She has such great taste, and I love the occasional recipe shared on her blog. You must have had a wonderful experience staying in that beautiful Normandy countryside, and of course Gibson and Ghetto are adorable. I love following Sharon on instagram, her photos bring so much joy to me. Sometimes a picture can change a mood so quickly, I often find myself looking through her photos (and yours!) to help me relax. You and Sharon’s websites are always inspirational and motivational. I love the collaboration! Thank you both for another beautiful post. Thank you for sharing! What a lovely home. I am lusting after one of the wonderful boxes!! This might be the best give away yet! And the anticipation is half the fun. What a wonderful interview. I do have her book and love it! Thank you for the chance to receive the wonderful box! 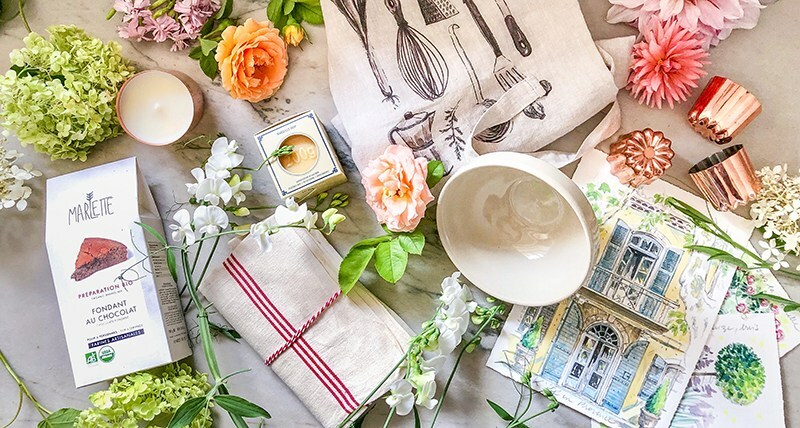 Two of my favorite French inspired bloggers come together! Thank you for sharing a glimpse into your rich and beautiful lives. How apropos today as I had just had a conversation regarding fear and its consequences and therefor Sharon’s statement “the liberty to reinvent ourselves” is very timely. I gravitate to those like Sharon who have not limited themselves and are excellent examples at how to step outside ourselves and reach for a higher level Of being. Thank you for this post. I, too, have been enjoying French Week. I would be ecstatic to win one of these boxes. How lovely, I am looking at this and feeling contentment. Merci for the great interview and the special giveaway! Thank you for all your lovely podcasts and exposing us to France. I really want to bring my family one day. My son is now 5 and he wants to learn French and maybe knows more than me as we have been practicing since he was 2. Maybe one day…again, thank you for bringing us along on your journey, you are an inspiration to me and that in turns inspires my family. My friends and I love Shannon! I am a new fan of yours! You go girl. So inspired by the fact that you are a Francophile and actually just went to France for the first time. I would love to be entered to win her box of treats! What a lovely interview. Your podcast with Sharon’s discussion about her new book was one of the first I listened to after discovering the podcast and I have been delightfully following along with Sharon on Instagram ever since. And her boxes – dreamy! I was (no joke) actually on her site yesterday looking at all the past boxes and hoping that one day I might be able to save up enough money to “gift” myself one. Thank you Shannon – I have been thoroughly enjoying French Week! Best TSLL French Week ever! This giveaway is just more proof of that! Merci, Sharon Santoni & Shannon for this lovely & generous giveaway! French week is always a treat on your blog, Shannon. I also love Sharon’s website, and while I have yet to try the Stylish French Box, I find it very tempting and enjoy seeing each season what little luxuries Sharon finds. I studied in France for my Masters degree and I also love the changing of the seasons!! So romantic and pretty. I lived in Antibes and miss it every day. I would love to win this box and be reminded of those sweet memories in such a special place!! Your unboxing video was lovely, and these boxes look fabulous! Thanks for another giveaway! I so loved reading about this interview. Makes me want to jet to Paris! I am transported and/or rapt every time I either tune in or read a post. Thank you for what you do and for bringing a lady like Sharon Santoni into my world. Sharon has beautiful taste and I adore her gorgeous books. This week has been wonderful! I am so enjoying French Week during my birthday week 🙂 . I would love to win one of Sharon Santoni’s Boxes in November! Also, our next trip to France, my husband and I would love to stop by and experience the Normandy area and to tour with Sharon. That experience would enrich our trip and it would be lovely to stay in that lovely BNB she has…love the decor sigh! Such a lovely interview. I have purchases a few boxes in the past and they are exquisite. Please enter me in the drawing. Thank you. What a beautiful giveaway! I love beauty of little things in our lives! We just have to open our eyes. Beauty is everywhere! Merci, Shannon, for an outstanding French week! I was excited to discover Sharon through your blog and am enjoying living vicariously through both of you. I share your passion for all things French. La vie est belle! These boxes are so creative! This post made me miss my home away from home. I was just searching last night for Noel decoration inspirations. We are welcoming our first child this year (today is his due date, he is welcome anytime now) and I want him to have tons of holiday cheer to look at. I have wanted to try one for so long! And November is my birthday month. What a treat that would be!!! Oh that cottage interior! To die for! Ooh sounds so lovely! Fingers crossed! Again, I LOVE French week on TSLL. And I’ve written Benoit down in my travel plans for my upcoming trip. Thank you! Thank you Shannon for your interview with Sharon….I have been following Sharon for quite a few years now…it’s always inspiring to hear from both of you. This would be fun to win! I’m enjoying all of the French inspired posts! Thanks Shannon! Thank you for the opportunity to receive such a beautiful gift! You both bring so much joy ………beautiful blogs and photographs, inspiring ideas and suggestions , delicious recipes to try , and the most fabulous flowers. I would absolutely LOVE to receive one of Sharon’s boxes, which sadly are outside my budget at the moment . I have truely enjoyed both of the blogs, and also have both Sharon’s books and yours , they make such lovely reading . This would be a Grande Plaisir indeed ! I loved reading this post. Thank you! Oh my goodness, this would be a dream prize! Loved reading about and following your adventures in France this Summer! A self confessed Francophile myself so would absolutely adore this. Best of luck to all and thank you for the chance Shannon and Sharon. I met Sharon when she came to Kansas City for a book signing in June. Such a delightful person! Would love to have one of her beautiful boxes! I love your writing, Shannon. Do you realize how wonderfully inspirational you are? My public library offers Mango languages as part of their e-resources, so I’m learning basic French. It’s a start. ☺️ Thank you for the opportunity to receive a French box! What a lovely post! I really enjoyed all your insta-stories from France. Thank you for doing the giveaway. I am so enjoying French week. Thank you for taking your readers along on your trip to France. 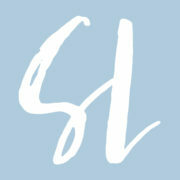 I love your blog as well as Sharon’s. This is something entirely new for me. I will now research and have fun will all the new reveals. Thank you for sharing. Such a generous and truly delightful giveaway – who wouldn’t want to receive a bit of France in time for the holidays! I always enjoy your features with Sharon Santoni. Shannon and Sharon I’m so glad I found both of you. You are both such an inspiration to me. I listen to the podcasts to and from work, at work, at home making dinner and when I’m relaxing in the evening. Thanks so much for being so uplifting. Two of my favorite blogs! You keep France before me until we can visit again. Ever since I was introduced to Sharon through your blog, I’ve been a huge fan. I have her newest book on my coffee table, and it’s a delight! Great interview, lovely August box treasures, and amazing give-away opportunity. Thank you Shannon and Sharon! I love getting to experience her beautiful collection on your blog! It’s such a treat to enjoy the unboxing with you when you receive a new one! It would be such a pleasure to win my own little slice of French living! I love everything French, and I love the holidays, so what a joy it would be, to win the November French box! I think of this community like the French Box. We’re different but connected by a theme. It continues to fascinate me how the internet links seemingly unconnected lives and people worldwide via a common passion, something you can share with someone across the world yet might not have in common with closest friend. You and Sharon connected so closely “at the heart” that you travelled to enjoy it together in person, then used the net to push out the words and images and ‘virtually’ included everybody in this group. It’s like knitting, or embroidery, but with people. Wondrous. Lovely and inspiring post. Thank you. The box looks amazing, especially love the idea of a unique brocante item in each! Have loved joining you on your travels through France and now loving re-living the journey during French week! It would be an honour to win one of these boxes and receive an early cadeau de Noël. I have been impressed by the offerings in the French boxes. Such thoughtful combinations. I always look forward to your posts. I am inspired every week, especially French week. Your book recommendations, from self discovery to the French mysteries are my go to source. Thank you for your exceptionally well curated blog. I would love to get this box for my daughter … she loves reading TSLL and had introduced me to it .. she has recently moved into her first apartment and loves French style … it would be such a lovely gift for her. Thank you for your inspiration ! A trip to France on one of Sharon’s Brocante and Lifestyle tours has just been catapulted to the top of my travel wish list…in the meantime, how wonderful it would be to receive such a beautifully curated and packaged gift box – the epitome of “Happy Mail”! Shannon, thank you for sharing your French adventure this summer. I enjoyed following along every step of the way. And thank you for introducing me to Sharon and her inspirational (and aspirational) French lifestyle…the perfect escape for this first time mum to savour and dream of after many a sleepless night! I loved the conversation you had with Sharon on your podcast so it was inspiring to see all the photos from your visit with her in Normandy Shannon – lucky you! Enjoying French Week. Thank you for the opportunity to win Sharon’s November Box!!! I look forward to seeing every new post, it’s like a wonderful retreat from my everyday. So nice to dream. Thank you for the giveaway. I’ve always wanted one of her very special boxes. The interview was excellent. I’m really enjoying French week! What an amazing giveaway!! Thank you Shannon for bringing Sharon and her beauty into our lives. You both have added so much value to my life! That box of goodies looks amazing! I would absolutely love one of sharin’s boxes. Have just recently begun to follow her and really admire her stlye and taste. Lovely interview with Sharon, and a wonderful journey with you, Shannon. to France this summer. You put so much care and thought into each of your posts. Thank you! “…keep your eyes open to everyday beauty…,” is such a sage advice. Seek beauty around myself and I shall find it as what we focus our attention upon shall become more prominent in our lives. Hence, I am trying to focus on the good and the positives. Keeping my fingers crossed on this giveaway and once again, merci for this sweet opportunity to bring many lively things into my life, Shannon! What a wonderful giveaway……I can’t wait for the next post! I just love your content for French week so far and anything that features Sharon Santoni. Thanks for introducing me to her. I’m officially hooked on everything she does. I loved following along your trip to France, especially when you were staying with her. I could only aspire to create the beautiful home she and you have and it gives me something to look forward to as I try to spruce up my home decor for the fall. So excited! Wow, Shannon, this is a wonderful giveaway! Thank you, Sharon, for this generous gift. I would be thrilled to win it. I have, like others have mentioned here, listened to your podcast with Sharon several times. I have followed both your blogs for several years, and love them as well as your books! Your photos are gorgeous, Shannon! You have truly spoiled us this summer by sharing your travels and the delightful posts this week. Merci! French Week has been great fun and full of wonderful surprises! the My Stylish French Box ~ Noel a la Maison. I’ve followed and been inspired by Sharon and My French Country Home for years and dream of going on the French Luxury and Traditions Tour. Two of my very favorite bloggers, authors and stylists in the same blog! Wonderful!!! Thank you for so much visual beauty, and great reading! What a great give away. Loving French Week 2018 so far! I am enjoying French week immensely. Sharon exudes warm ambiance. Thank you for a bird’s eye view!! Just posted and left my email address wrong! Would love to win this box! What a treat! 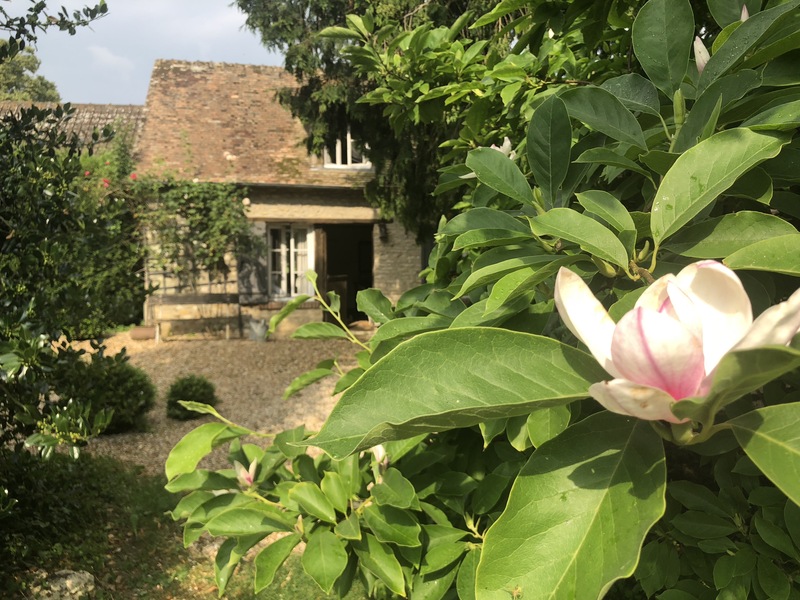 Thank you Shannon for continuing to take us with you on your journey this summer through France and as a follower of Sharon too and owner of both her wonderful books what a lovely bonus it was this week to have a post dedicated to her and her life in France. Wishing you the very best for the Autumn season to come, I am really looking forward to the Kitchen Vlog starting too. This is really an amazing giveaway, and thank you for the themed week concept. Thank you very much for the opportunity to win this! Oh a Noel themed box sounds delicious! Thank you for taking us to France with you! I enjoy listening to all of your podcast episodes. It would be an amazing box to receive! Saw the last box on your Instagram and love it! Such a great giveaway. I appreciate all of the thought and energy you have put into French week, Shannon. Savoring every post! Thank you! Thank you for sharing such a beautiful journey! Thank you, as always, for such a lovely post! Although I am entering this comment for the giveaway, I had to take a moment to thank you for a ALL of your work. I started listening/reading as I was entering college and, being now 26, my life has had several significant turns since then. But no matter the changes, I always seem to find my way back to your blog for renewed inspiration…or even just he beautiful pictures you post of the French countryside 😍! Your gentle encouragement has always pushed me to stand tall and take that next step or run that extra mile. Please keep up your work and I hope all you achieve is better than you ever imagined! It always leaves me feeling giddy when I watch an unwrapping video of Sharon’s boxes. She does such a beautiful job. I had no idea Sharon offered tours! That one in May is looking quite inviting. Thank you for documenting so succinctly and dreamily your adventures in life, Shannon and a huge thank you to Sharon for her genuine and lovely spirit. When there is so many mindless topics on social media/memes etc it is nice to find such quality to revel in. Simple yet elegant, an inspiration for us all to step back and review our lives and be thankful for what we have and where we want to go! I have enjoyed your French week posts. Thank you for the inspiration! This is a beautiful giveaway! Thank you for this year’s French Week. I have truly enjoyed it! Love your blog and podcasts shannon! I’ve been listening and following along for years and always find inspiration in your thoughtful commentary and adventures. I will be visiting Paris and Provence in setember and between you and Sharon I have many great recommendations to take along. Thanks to you both for your dedication to simply luxurious living and graciously sharing with us! Shannon, thank you for introducing me to Sharon Santoni, she is such a treasure…as are you! The tours look wonderful and thank you for documenting your visit with her and sharing with us. Of COURSE I would love to receive one of her fabulous Stylish French Boxes, who would not?? Merci beaucoups pour la chance! I am constantly inspired by your and Sharon’ s blogs. I especially love all things French. It would be so wonderful to receive the wonderful gift box. I felt your love and joy of life jump off the page. A wonderful gift you have and, of course, Sharon. Shannon, I know you planned your trip for years, and here you are sharing all your discovery so freely with us! Thank you for your generosity, both in creative content and in this delightful giveaway! Thank you, Shannon, for all the thoughtful detail and research you put into each aspect of your work. I look forward to each new post or episode and always know I will learn something at the same time that I am relaxing! This chance to win one of Sharon’s lovely boxes is especially exciting because of her exquisite taste. Many thanks for the opportunity and best wishes for the new cooking show! Inspiration for my French trip! I hope I win! I love Sharon Santoni’s books! Such lovely photography! Ive seen these boxes before and look like such a treasure! I’ve been thoroughly enjoying this edition of the French Week & would love to get a chance to enjoy all the goodies Sharon has curated. I have greatly enjoyed your posts this week (and every week). I want to visit France again soon. What an amazing opportunity! Thank you, Shannon! I just put Sharon’s book on hold at the library—I can’t wait to read it! Also, thank you so much for providing this giveaway! I’m a big fan of you and Sharon – thank you for this super opportunity! Shannon, your annual French Week is always a favorite! I’ve enjoyed learning about your recent trip this year. It sounds/looks like a dream! Thank you for taking us along. The box is beautiful and I’m sure the next one won’t disappoint! I would love to give this box to my cousin. She is a hardworking nurse (LPN) who couldn’t spend the money on herself. She lives a Francophile life on a limited budget. I have the subscription and she has loved the items in previous boxes. I loved reading and rereading about your journey. I would love to win the Noel box; what a treat for the holiday it would be! I eagerly anticipate the reveals of these quarterly boxes for the inspiration they provide, and would be just thrilled to win one of my own! Sharon and Shannon what a great giveaway. I’ve been following you both for years and I truly look forward to each new posting. Sharon, didn’t you occasionally post serialized fictional stories? I loved those and I hope that you will do another one soon. Fingers crossed for the box! I always enjoy your interviews with Sharon. One of Sharon’s tours in Provence is definitely going on my bucket list! I’m enjoying French week so much, especially this visit with Sharon! Thank you for offering her exquisite Noel box. I would be so pleased to receive it. Of course, I would love to be entered in this! Shannon, I have so enjoyed your France trip vicariously. Thank you for sharing Sharon and her wonderful boxes with us! I have received one and they are so inspiring! These boxes are such a lovely idea. Receiving one in the mail would be an absolute treat! This week has been a lovely adventure to read! You have done a wonderful job and I applaud the work you have put in to create such fascinating articles. I would love the opportunity to receive the Noel box. Thank you for this opportunity Shannon. I would love to be chosen. What a delightful post and interview! The subscription boxes would be quite the treat to receive. Shannon- best French Week ever. The effort you put into your blog posts, podcast, books and new ventures is remarkable. Clearly your passion. Thank you for sharing it with us! This sounds wonderful! Possibly the best subscription box I’ve heard of. What a wonderful competition: thank you so much, Shannon and Sharon! I am loving every moment of French week! I would love the November French box…it would make my year! Your blog is a wealth of information and it is the first one I read daily. Love My French Country Home! Oh, how I would love to receive a box from France filled with beautiful things. Sharon, your home is such a beautiful, peaceful place. I’ve loved reading your posts about your travels in France. I’ve been following Sharon for several years as well and always dreamed of joining one of her tours. Perhaps one day soon. Thank you for taking us along on your journey. Seeing your posts in my inbox is always a pleasure. I would so love to get one of those lovely boxes of goodies! It would go under my Christmas tree to be drooled over for weeks. HAHA Well, maybe no drooling, but definitely to be desired for weeks! I discovered each of your blog and Sharon Santoni’s back in 2012. You are two of the three blogs that I continue to follow and derive enormous pleasure. Thank you. I would love to have been a fly on the wall during your time together at Sharon’s home & garden. You are kindred spirits. Thank you for the chance to win this divine give away. What a fabulous give away! Sign me up! Would LOVE to have A chance to win My Stylish French Box. Loving French Week! Yes! Would love a taste from France! I love your website! Thank you for the opportunity to enter. Have been a fan of Sharon’s for years. Always wanted to try one of her boxes. French week has been tres bien! Great interview! What a great way to wrap up French week! I think I may be even more excited, if that’s possible, for the week next year dedicated to the Anglophiles – so me! Thank you Shannon for what you do. 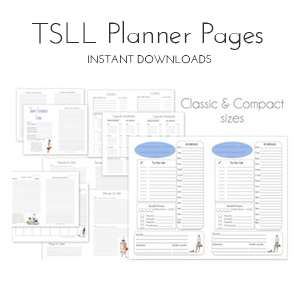 I stumbled onto your TSLL podcast in June 2018 and have been immersing into all your different episodes, blogs, website, etc. I grew up in Ecuador learning French as my second language and although I have continued to listen to the music, watching movies, reading about it sporadically these last 20 years since moving to the USA, it wasn’t until I started listening to your podcasts that I realized I missed my French “roots” and connections so much! When I saw your second book is coming out on November 13 I figured it was an omen as that is my birthday and went ahead and purchased both books – can’t wait to receive them! I’m now reading My Life in France and when I’m done I will look for other recommendations you’ve made. I have a lot of catching up to do! It is with deepest gratitude that I write this comment on your website. Gratitude for reawakening my love of all things French!! Merci beaucoup! Thanks so much for your blog and podcast. Both are so fun and inspiring. I love visiting France and had so much fun following along as you travelled this summer. Thanks for sharing your world with us and for the chance to win one of Sharon Santoni’s beautiful French inspired boxes. I’m a big fan of Sharon having purchased her first book and regularly meandering through her website . Much Like yourself, Shannon and her other devoted friends, she brings the joy of living well to our everyday lives.